The Gift Box stocks a wide range of Irish/Celtic watches, Jewellery and watches, Crystal and Glassware. We stock a wide range of Jewellery, Bags, Home wares, Occasional Pieces, Accessories and gifts for Special Occasions. Opening Times: Monday to Saturday 9:30am – 5:30pm. 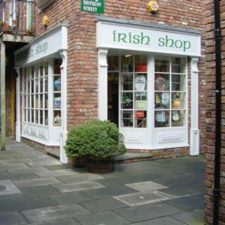 The original Irish Shop is located in the centre of the Walled City, within the historical Craft Village on Shipquay Street. It is a favourite for the Locals and Tourists to buy quality Irish goods at keen prices. 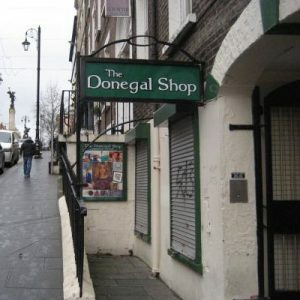 No visit to Derry would be complete without visiting this gem of a shop. 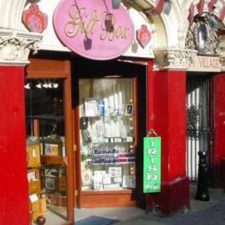 The Irish Shop sells a wide range of Jewellery, Cup and Mugs and Tea Towels. This long-established family-run store mirrors the success of the Irish craft industry today. The Donegal Shop where tradition meets design.